This weekend, I made a TON of food instead of going to a second derby practice. This is one of the things I made. My original plan was to make this recipe from How Sweet Eats with butternut squash, but I had some pumpkin puree in the freezer to use up. And I had other cheeses on hand, so of course I used those. Obviously, this concept is versatile! 1. Preheat oven to 375 degrees. Cook pasta according to directions and drain. 2. While pasta is cooking, heat a large oven-safe skillet over medium-low heat. Brown butter. Add pumpkin, salt, pepper, nutmeg and cheese, stirring until melted and smooth. 3. 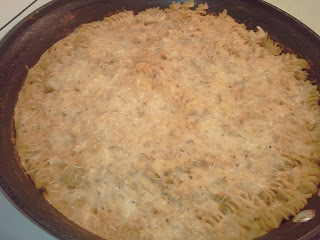 Fold pasta into the sauce, taking a few minutes to fully toss until all coated. 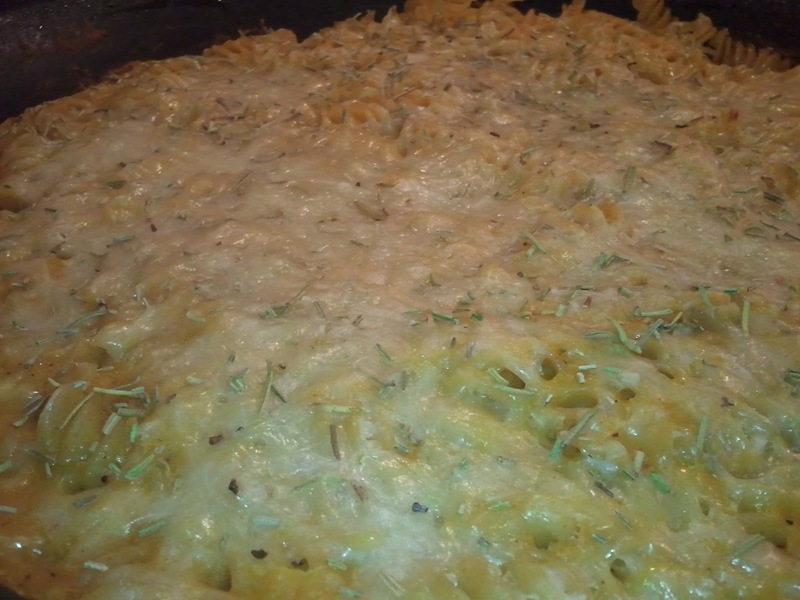 Top with remaining cheese and rosemary. Bake for 15 minutes.